I rarely use Render Order although I’ve been using it a lot for some of the shots in my latest demoreel. 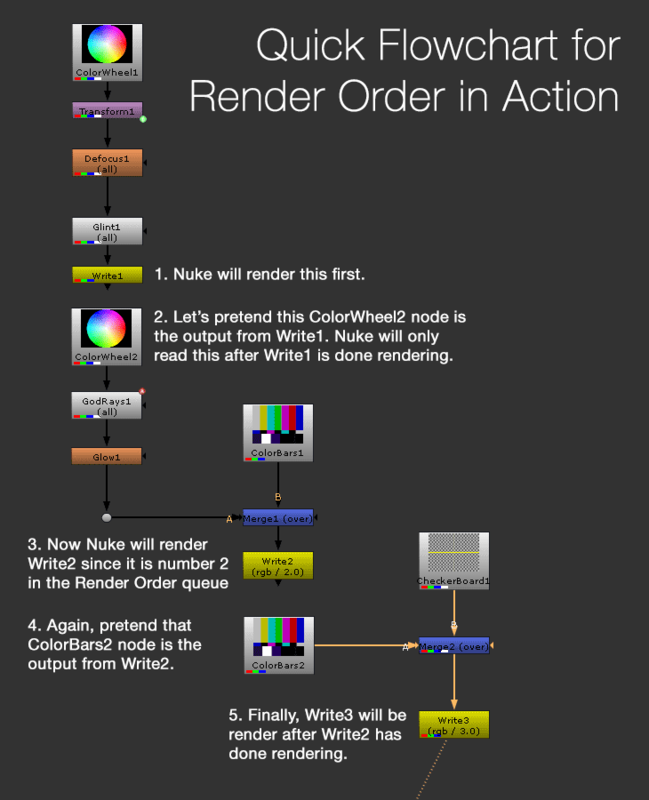 Render Order is especially useful if you need a read node that depends on a write node somewhere in your script. 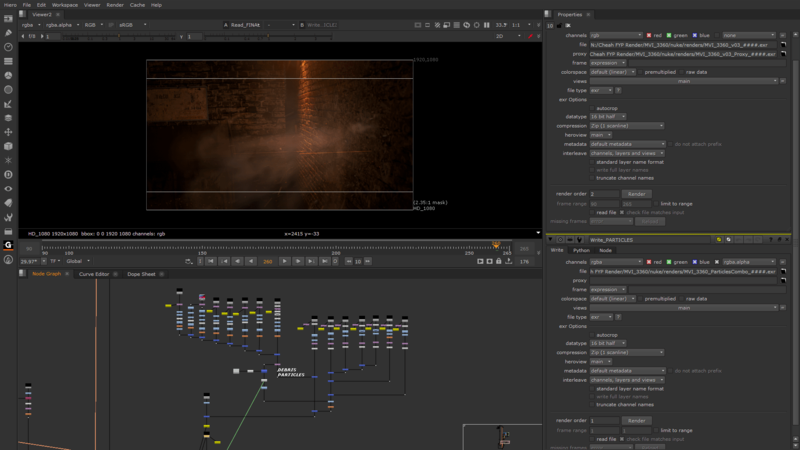 For example, my shot have a complex comp of a particles output from 3dsmax (a mix of Pflow and FumeFX) that takes a lot of time to render due to the Vector Blur and Motion Blur node. Next I need to comp over the particles effect over the main plate but to err on the safe side, I decided to render out the particles effect as a separate sequence files to be read in. This is useful as Nuke can randomly crash when it start to eat more RAM that is should be (happens frequently to me on this shot) and you don’t want to lose your rendering progress. As you can see in the write node properties, there is a render order box that you can type in to specified their order (click to view bigger or view it on a new tab for proper zoom). So number 1 will be the first to be executed when you select either all or selective render nodes. The way I arranged it in the screenshot is that since the Particles compositing tree layout is pretty heavy in rendering time, I create a Write node labelled Write_PARTICLES and just right below it, I read in the output sequence file from Write_PARTICLES to be composite over my main comp. Again, the rendering time for the final output can be pretty long on my workstation (average 10-15 secs per frame and this shot have around 130 frames) so any disastrous event like Nuke crashes or a power outage will just stress you out if you are doing lots of test render to verify the particles effect in motion.